Buddhism is the religion of the followers of Gautama Buddha, whose 6th-century B.C. 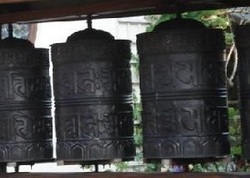 doctrines strongly opposed the formalized, mechanical rituals of the Brahman sect in Hinduism; Buddha’s teachings offered escape from endless reincarnation, a method of spiritual attainment through correct views and actions (The Eight-Fold Path), and a spiritual goal (Nirvana): a soul free from craving, suffering, and sorrow. The first half of the evening is an open Buddhist meditation, discussion and tea break, the second half is in the Chan/Zen tradition. Ned Reiter is an authorised meditation instructor and group leader affiliated to the Western Chan Fellowship, although as a group, we are very broadly based - but definitely have a Chan/Zen flavour. Everybody is welcome to join us, and meditation instruction is available to newcomers. There is no charge for the evening, although we do request a donation, suggested amount £2-£3, to cover the cost of the room and refreshments. 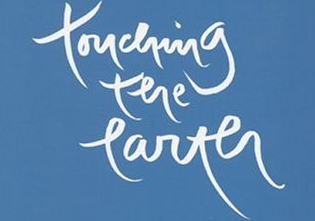 The Touching the Earth Sangha is a Glastonbury based Buddhist Community of practitioners from the Thich Nhat Hanh tradition of Zen Buddhism.. Check the blog for Sangha updates, latest news and articles related to Thich Nhat Hanh and the Community of Interbeing.